The Supreme Court will examine whether prior sanction of Central Government is needed for the State of Jammu and Kashmir to register an FIR filed against Army man, in view of Section 7 of the Armed Forces (Jammu and Kashmir) Special Powers Act, 1990. 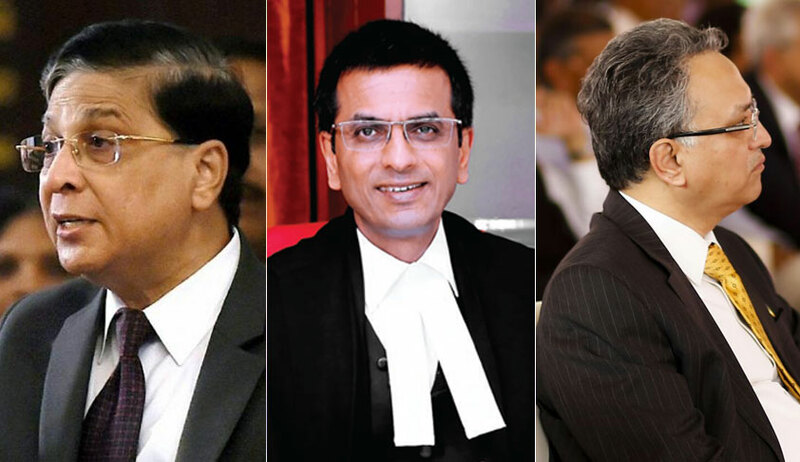 The three judge bench comprising the Chief Justice of India Dipak Misra, Justice AM Khanwilkar and Justice DY Chandrachud will consider this issue in the petition filed by father of Major Aditya Kumar. Senior Advocate Shekhar Naphade, appearing for the State of Jammu and Kashmir, referring to decisions in Naga People’s Movement of Human Rights vs. Union of India, and Lalita Kumari vs. Government of Uttar Pradesh & Ors contended that FIR could be registered without prior sanction, while the Attorney General KK Venugopal retorted that these decisions rendered by the Constitution Benches would not be applicable in view of the language employed in Section 7 of the Armed Forces (Jammu and Kashmir) Special Powers Act, 1990. The bench also directed the counsel for either sides to restrict restrict their arguments exclusively to this ‘pure question of law’. The bench has also kept open the issue of maintainability of the writ petition filed by Vineet Dhanda, seeking quashing of FIR against his son. The matter is listed at 2.00 p.m. on 30th July for hearing. In an incident relating to the killing of two stone pelters in Shopian on January 27, the local police had registered FIR against Major Aditya Kumar under section 336, 307, 302 of the Ranbir Penal Code. On the plea of his father, contending that registration of FIRs could not have been done without the prior sanction of the Union Of India, the Supreme Court had issued notice and directed the state not to take any coercive action against the army man. Later, Union of India filed an application before the Apex Court in this matter, wherein it contended that no FIR could be registered. It said: ““In this regard, the kind attention of this honorable court is invited to Section 7 of the Armed Forces (Jammu and Kashmir) Special Power’s Act, 1990 which deals with protection of persons acting in good faith. According to which no prosecution, suit, or other legal proceedings shall be instituted, except with the previous sanction of the central government against any person in respect of anything done or purported to have been done in exercise of the powers conferred by this.